So you are home on the weekend and wished you weren’t swamped with the usual gutter and didn’t have to look after your roof? CPR Gutter Protection provides gutter guard and roof restoration services to Narre Warren and the surrounding south-eastern suburbs. CPR Gutter Protection treats every roof as its own and has over 20 years of experience with all types of Victorian roofs. 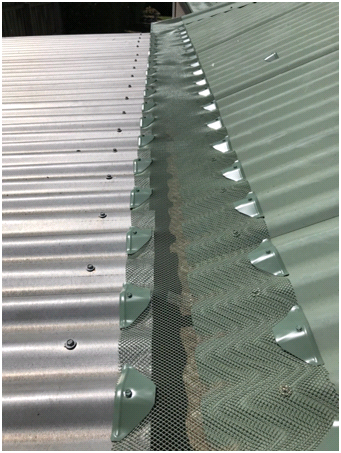 Our gutter guard protection systems come with a 25 years warranty as they are 100% Australian manufactured from the highest grade aluminium. These highest grade gutter guard protections come in a variety of products such as gutter guard mesh, gutter screens, fine mesh gutter guard, metal gutter protection and gutter helmets. Installation of gutter guards is completed by our professional installers. The team is well-versed with the safety equipment and completely insured. CPR Gutter Protection is committed to you relaxation on the weekends. Our products will ensure free flowing gutters at all times and requires minimal maintenance work. The gutter guard system is chosen by careful evaluation of your roof so the gutter guard protection fits perfectly. The gutter guard protection assures to block the passageway of intruders such as rodents and also prevents the rainwater from seeping through the gutters. The rainwater seeping through the gutters can heavily damage the house structure and also dampen the walls and ceiling. Dampened walls and ceiling leads to the growth of mould, which affects the sanitation and resident’s health. CPR Gutter Protection treats every roof as its own and will ensure to give you back your weekends to spend time with your loved ones, whether it is at home or the local parks in Narre Warren. Call CPR Gutter Protection at 0431 239 512 to help you with gutter guard installation.